Another good thing about Dynamo is that users can share their nodes, so that others can use them by downloading some free packages online. In Revit 2019 there are some packages available specifically related to rebars placement. 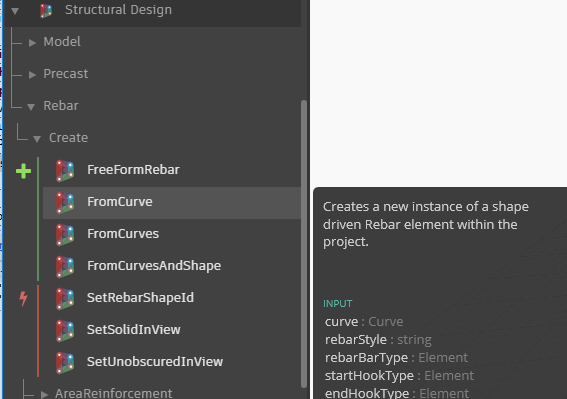 We also chipped in and created couple of scripts using default nodes, nodes created by others and some that we created from scratch, to enable automated rebar placement by using Dynamo. 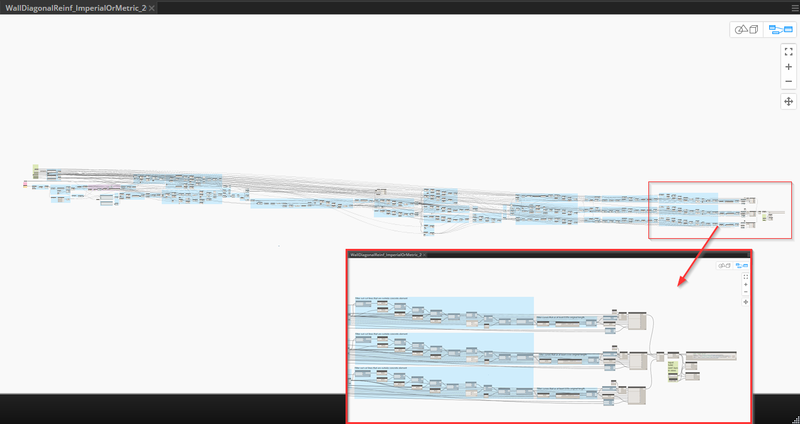 Script can contain from as little as just several nodes to dozens or even hundreds of nodes to automate more situations. Depending on effort and knowledge, you can achieve different results. This is how one script for automated layout of diagonal rebars around openings looks like, it also searches for situations when there is not enough space for rebars and they should be bent automatically. Look how it works in one of our example videos – Rebars for openings and wall edges. So, there are several ways how one can create reinforcement in Revit – using Autodesk Revit reinforcement tools, creating Dynamo scripts on your own, or if you are a user of our BIM solution Precast Concrete - our Dynamo scripts for automated rebar placement are available for free on request.